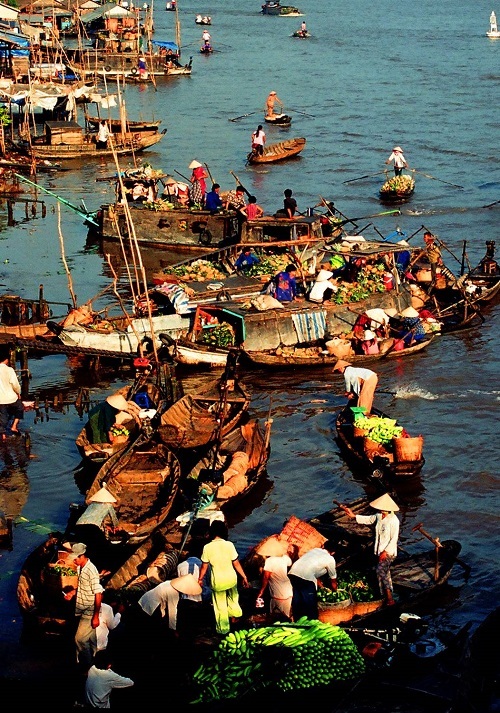 Every early morning, hundred boats gather together where their owners start to sell agri – products. 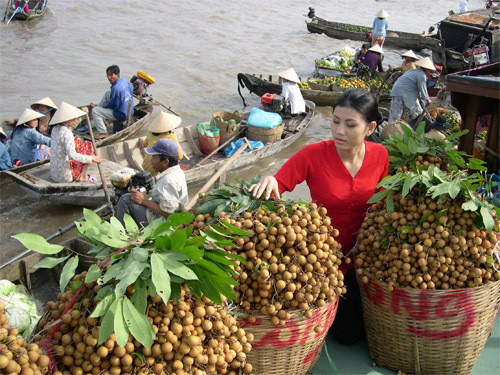 To be recognized easily, they hang out product samples on a long bamboo (called Cay Beo) in front of the boats, so that they do not need to cry their wares as in mainland market. 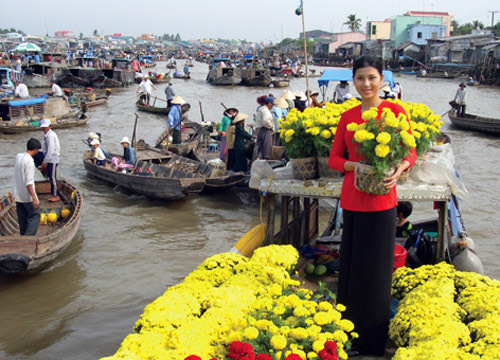 Take a taxi or drive motorbike to the Cai Rang pier (about 15 minutes), then hire a boat to visit the floating market. 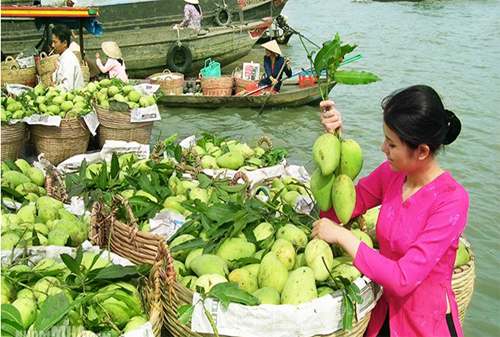 Take a boat for whole trip from Ninh Kieu Quay to the floating market (about 30 minutes).